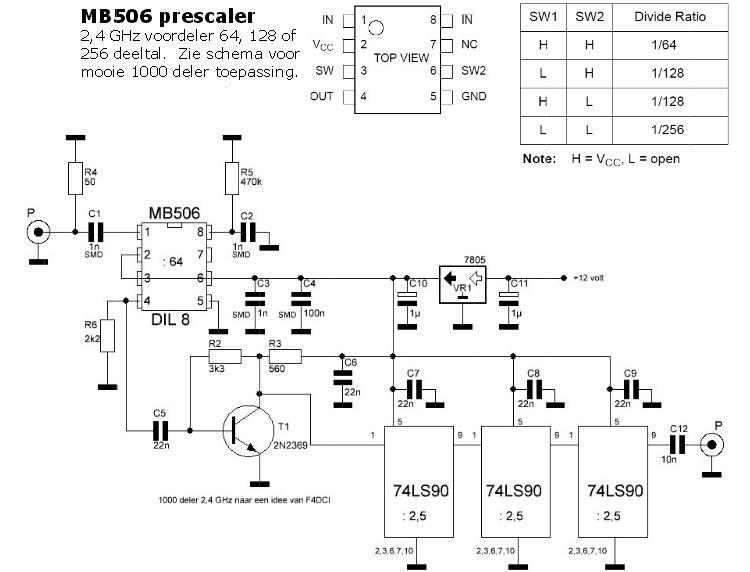 I was intrigued by the design of a simple 2.4 GHz pre-scaler for a frequency counter as designed by F4DCI. The circuit divides the input signal (up to 2.4 GHz) by 1,000. In this way frequency counters with a limited upper range can be used to analyse EM-signals in the GHz range. 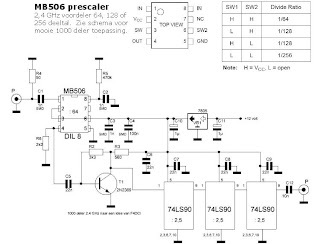 The MB506 has been configured as 64 divider. 3 type 7490 ic's work as 2 1/2 dividers. In this way the circuit divides by 1,000 (64 x 2.5 x 2.5 x 2.5).